Operating from our 1.5 acre plant in the southwest of England, Mexco distribute to large retailers, builders merchants and plumber's merchants via our knowledgeable field based sales managers and our experienced in house support team. With a wealth of knowledge within the industry coupled with our extensive experience we provide outstanding products and solid advice to our customers. 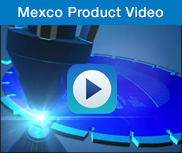 The Mexco Ethos: Exceed our customer's expectations by making diamond tool selection a simpler experience and by providing construction and demolition tools that give the best possible performance at the right price, enabling the user to get the job done quickly, first time and on budget. 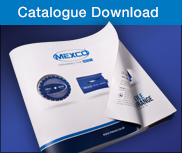 With the Mexco range of Diamond Blades and Diamond Core drills you can be assured of quality and product longevity, our aim is to provide great products that exceed the users expectation throughout every stage of use. Our extensive product range of diamond cutting tools aid the customer with selection by way of our pioneering interactive merchandising experience. We make selection simple, our retail merchandisers can be found at any Mexco stockist clearly displaying product information via a traffic light and grading system enabling our customers to very quickly choose the correct diamond tool in a fast and fluid process before they reach the counter. 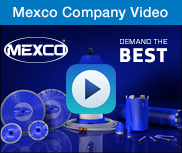 Mexco have produced a comprehensive range of diamond cutting discs and diamond core drills to deal with the most demanding of applications, these products can cut and drill the hardest of materials from granite to the most abrasive of applications such as asphalt or tarmac. To combat the difficulties of drilling and cutting the hardest of floor and wall tiles Mexco have produced fast and effective drilling and cutting solutions that effortlessly cut or drill through the hardest of ceramic tiles, porcelain tiles and granite tiles. We are always on hand providing advice, backup and support to our stockists. Our knowledge, reputation for service, the ability to react to our customer's demands, and our passion, means we constantly challenge ourselves to ensure that we deliver the correct product at a highly competitive price. For details on any of our products please use the search function on this site or alternatively consult your local Mexco stockist for details. Our reputation is paramount and our products without compromise.